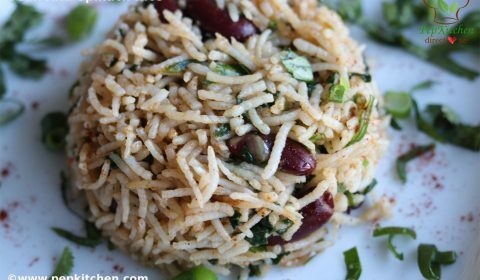 Bean and Spinach Rice is a very healthy and delicious rice made with spinach and kidney beans and flavored with Baharat powder to give it a Lebanese flavor. 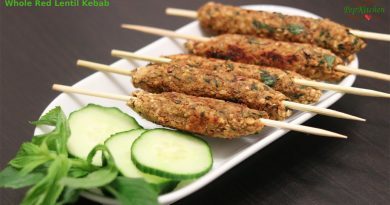 It is rich in protein, folic acid and iron . It is gluten-free and vegan!! 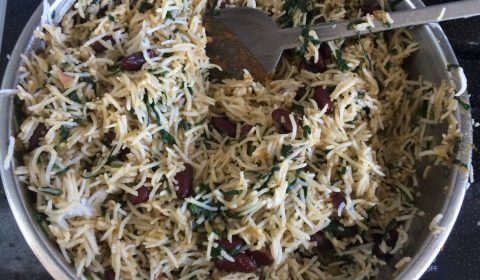 Since this is mild rice, serve it with a hot curry. I have served with vegetables in red hot sauce. I will share the recipe of it soon. 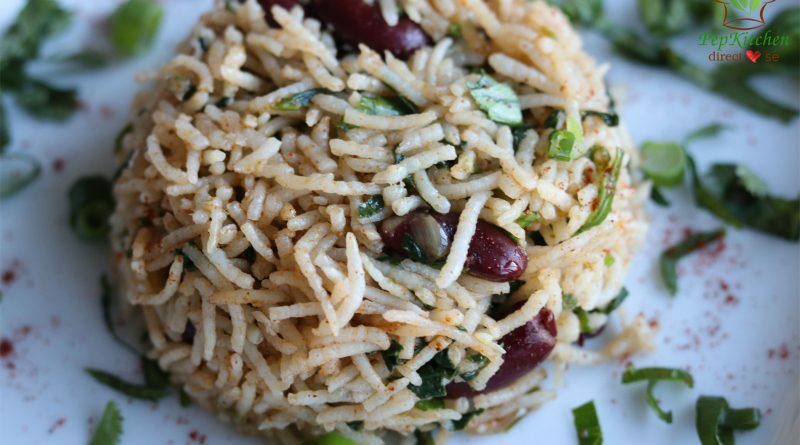 Bean and Spinach Rice is a very healthy and delicious rice made with spinach and kidney beans and flavored with Baharat powder to give a Lebanese flavor. 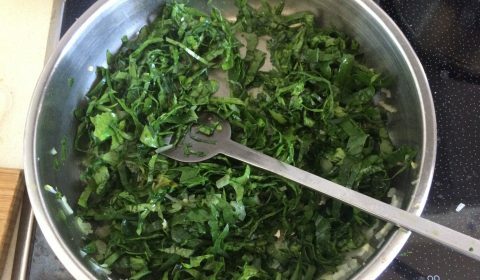 It is rich in protein, folic acid and iron . 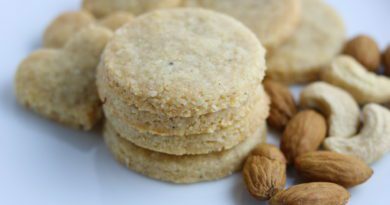 It can be enjoyed by gluten-free and vegan!! 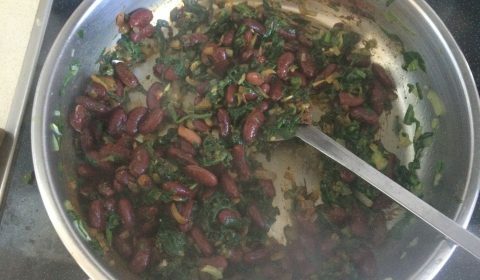 3/4 cup kidney beans rajma, soaked, boiled and cooked. In a big pan, heat oil and add chopped garlic and green chili. Saute for a minute. Add the washed and chopped spinach and cook till spinach shrinks and is cooked. 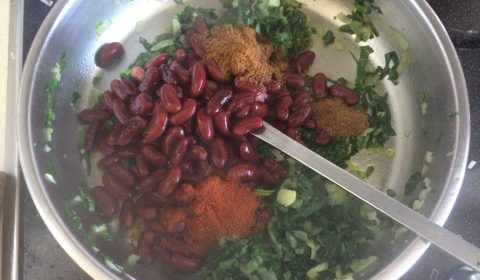 Add cooked kidney beans (rajma), baharat powder, roasted cumin powder and paprika powder. 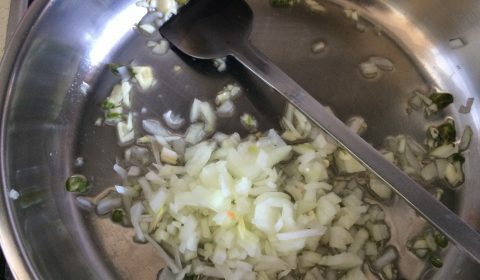 Mix well and saute till spices are fragrant. Add the chopped parsley. 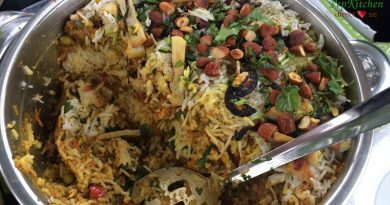 Keep aside some for garnishing and mix well. 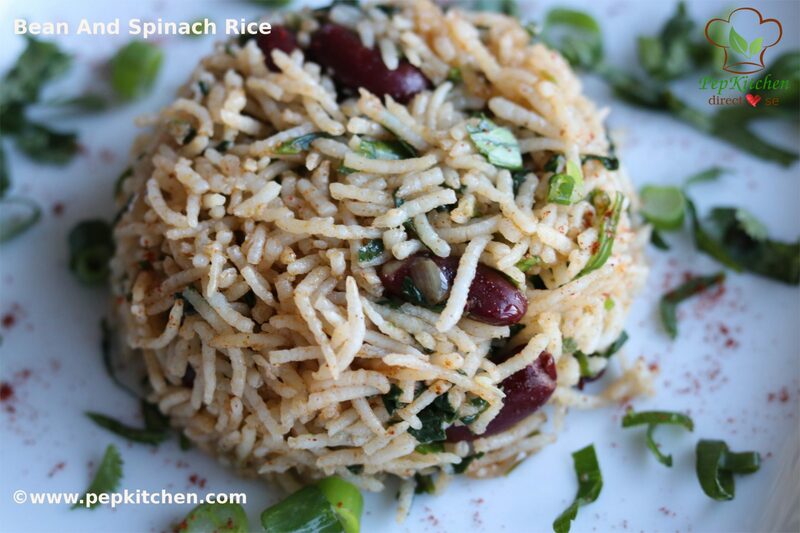 The bean and spinach rice is ready to serve. 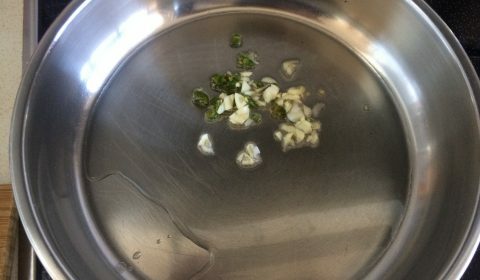 Grease a bowl and put the prepared rice in it. Press it and then unmould in the serving plate. 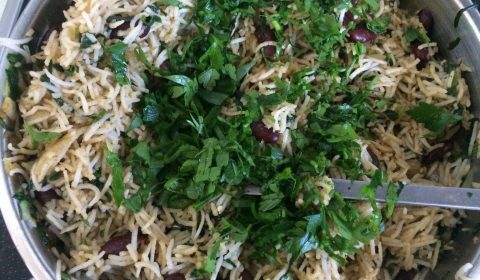 Sprinkle chopped parsley on top and serve.